Undeterred by the insecurity in their immediate community due to Boko Haram insurgency in Borno State, a team of seven Nigerian scientists from the Faculty of Pharmacy, University of Maiduguri, has made progress in a groundbreaking research into the use of local herbs for cancer therapy. The team, led by Professor of Pharmacology at the university, Isa Marte Hussaini, is currently exploring different Nigerian plants for the cancer therapy research. The National Agency for Food and Drug Administration and Control (NAFDAC) and the National Institute for Pharmaceutical Research and Development (NIPRID) have applauded the research, promising to work with the scientists to conduct pre-clinical trials. Prof. Hussaini, who presented the study to the Nigerian Academy of Science (NAS), told The Guardian yesterday that eight out of the 54 plants so far identified showed more promise than the current drugs used in the treatment of cancer. He highlighted how three of the plants showed impressive anti-cancer activities against both breast cancer and brain tumour. 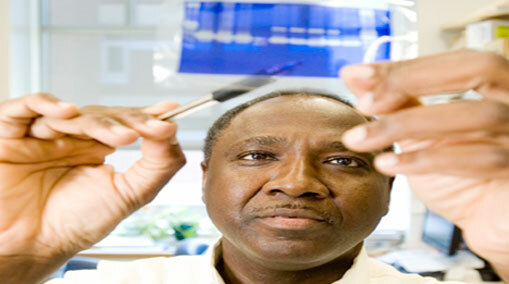 He said: “We are working to develop effective cancer therapy using Nigerian medicinal plants. We have characterised and identified some plants. We have tested them and they are very effective. Eight out of the 54 that we have are better than even the current drugs that are used in the treatment of cancer. We are trying to identify some of those active compounds that are responsible for this anti-cancer activity. Afterwards, in partnership with NAFDAC or NIPRID, we will do animal and even pre-clinical studies. He tasked government to provide adequate support to Nigerian scientists to enable them compete favourably. “Science should be number one in terms of funding, and we need lots of money, billions really. For this project, N100 million–N200 million would complete it. To go to pre-clinical and clinical trial requires money,” he noted. Hussaini added that his team received institutionalised funding through Tertiary Education Trust Fund (TETFund) and was trying to secure more funding, especially from the National Institute for Health in the United States. “If we want Nigeria to move forward, this is the kind of cutting edge research that the present government should fund and it should be a priority,” he noted.